Description: Envirosound unlike most acoustic materials is made from polyethylene which means it has some very unique properties. It is the only product on the market that works as an acoustic absorption panel without the being affected by moisture thus making it ideal for outdoor use; on fencing or in an extreme environment like a car wash. The product can also be wiped down if required. Its unique look does also lends itself to being suitable for indoors; for shops or car show rooms. The product is light to handle and can be fitted by mechanical or adhesive fixing. 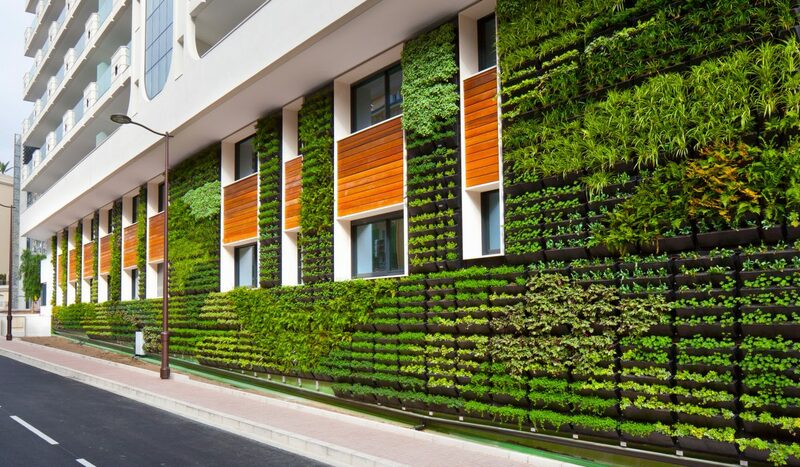 Description: Our green wall system adds natural beauty to the aesthetic element of the built environment. The plants will help stabilise the local environment whilst absorbing noise and reducing sound levels. Every location is different and therefore the variety of plants will change with each project thus creating a unique style and pattern. With pressure on for more meters of green space in the built environment our system offers opportunities for people to be creative whilst meeting the requirements. The product can be manufactured to size and is hung on a rail system with pockets in the materials for plant installation and growing media. Description: Our acoustic fence system is made up of Envirosound and a barrier mat. This provides an absorption layer combined with a sound barrier thus ensuring noise is managed effectively. 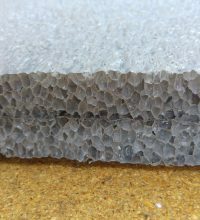 The combination also has great UV resistance and is able to withstand moist environments where the normal acoustic fence with mineral wool can sag and be prone to moisture ruining its ability to reduce sound levels. The product is rigid and can be mechanically fixed to walls; fences and gabions.